Over the past 75 years, the Ukrainian Canadian Congress has provided outstanding leadership, coordination and advocacy for Ukrainian Canadians. We have empowered and united our community and by building consensus, remaining committed to our grassroots and providing invaluable services. Having celebrated the 75th anniversary of the UCC and 125th anniversary of Ukrainian settlement in Canada, we recognize our community’s contributions to the essential fabric of Canadian life and culture in building a diverse, inclusive and welcoming Canada. In 2017 we celebrated the 150th Anniversary of Canada’s Confederation, where we worked with Ukrainian Canadian youth and all youth on a special youth engagement project. 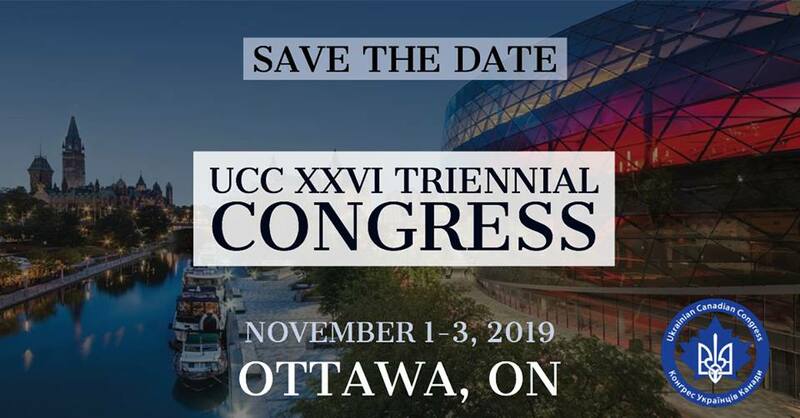 The UCC is served by a dedicated Board of Directors, Committees that do the heavy lifting and an Executive Committee that has demonstrated unwavering energy, patience, and commitment – for which I am profoundly grateful. Sincere thanks to UCC’s Advisory Council, chaired by James Temerty, C.M. and UCC’s Ukraine Advisory Council, chaired by Bohdan Kupych who have provided a wealth of knowledge and support especially during very challenging times. Significant recognition must be given to our staff for their diligent work ethic and commitment to our community.